The Xbox One controller will be compatible with PC games but Microsoft still has a bit of work to do in order to pair the two up. Redmond said it is beavering away on drivers to make the Xbox One pad PC-friendly, as well as making it "seamlessly" compatible with games designed for the Xbox 360 controller. However don't expect it to arrive until next year. 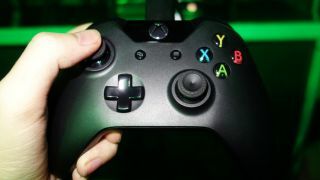 "We know people want to use the Xbox One controller on their PC, and we do too – we expect to have the functionality available in 2014," said a Microsoft spokesperson to CVG. As the rep went onto explain, the reason for delay is due to the huge architectural differences between the Xbox One and Xbox 360 controller. "New wireless protocol, combined with the ability to work in 'wired' mode, and the addition of features like impulse triggers, means that new software has to be written and optimised for the PC," they added. You currently need a wired version of an Xbox 360 controller (or purchase a wireless USB receiver) to use it with the PC but Microsoft isn't saying whether it will be using the micro-USB port to connect the One controller to the PC - or whether it will play wirelessly. Microsoft has said that it spent "hundred of millions" designing the controller so you can expect great things - especially from those nifty impulse triggers.